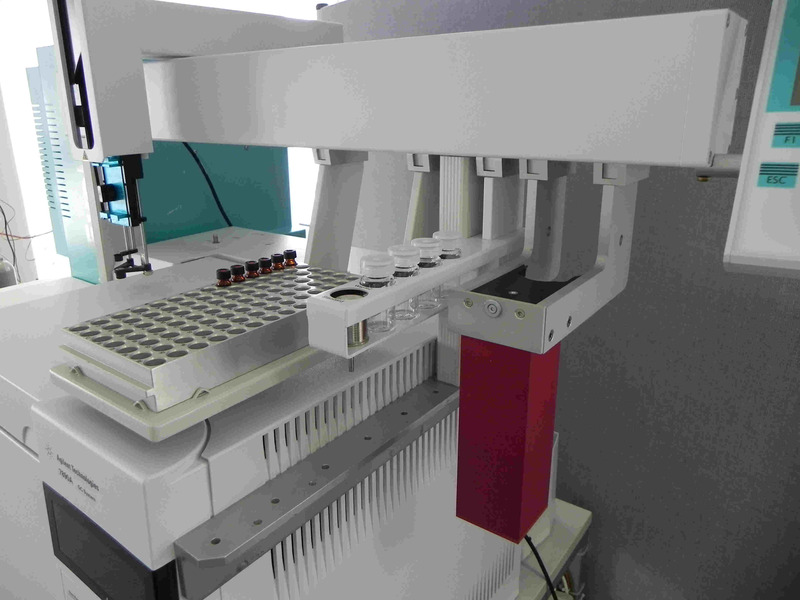 SPDE features full automation for dynamic sample extraction, desorption and analysis using the CTC Combi PAL. Most of our customers use SPDE for food and flavor research, forensic analysis or environmental applications. 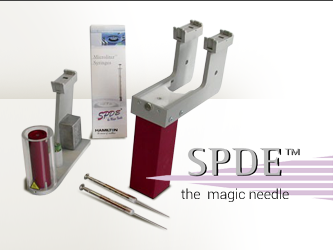 The typical lifetime of a single SPDE syringe is 1500 injections, though can be higher if a clean matrix is used. A gas-tight 2.5mL syringe is equipped with a special needle that is coated on the inside with an extraction phase. The phase can be applied in varying degrees of thickness. The adsorption process is best described as follows: A liquid or headspace sample is drawn up into a 2.5mL syringe, thereby adsorbing analytes onto the stationary phase. 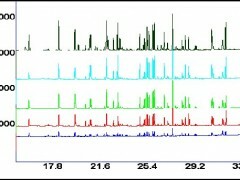 A distribution balance is reached between the liquid sample matrix and the active phase. 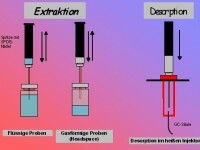 The analytes are concentrated onto the phase by repeatedly moving the plunger up and down, thereby forcing the headspace or fluid through the needle. 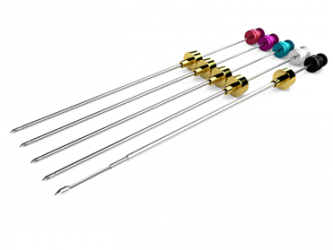 Fast plunger speeds ensure a quick exchange of sample near the active phase. 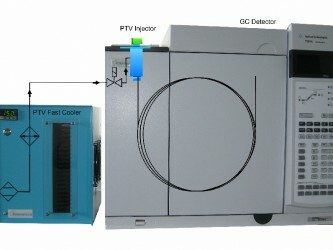 After adsorption, the syringe picks up carrier gas from the fiber bakeout station (if necessary, the station is also used to dry the coating and syringe). 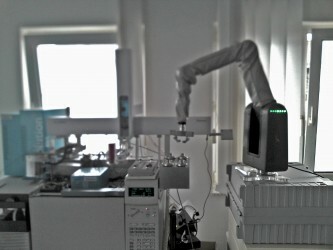 Then, the autosampler moves the syringe over to the hot GC inlet, and the analytes are desorbed. 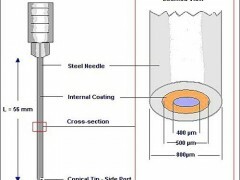 Additional gas flow from the syringe forces the analytes into the inlet, thereby ensuring sharp peak shapes. This technique can be used with splitless flow for maximum sensitivity. Halogenated pesticides. The extraction above was carried out with 1, 5, 10, 20 and 30 filling strokes (from bottom to upper TIC). Capillary needle coated with 5 µm methylsilicone phase. Sample amount was 1 µg/L per component.